Frank: Animals in the natural world are drawn to the souls of men. They can see the light that emits from inside us. I'll keep this brief, because frankly, that's all this film deserves. 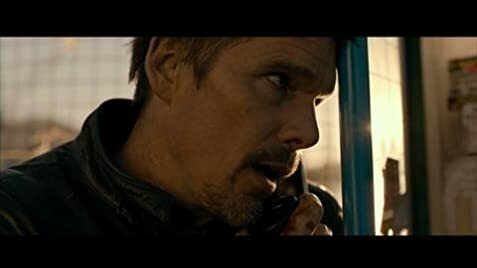 Whilst the premise of a good revenge film has been masterminded in recent years by action packed thrillers such as 'Taken', 'John Wick' and 'Atomic Blonde', '24 Hours To Live' lands very much at the other end of the scale. The story from the off seems like a convoluted concoction of 'Crank' and 'John Wick', by someone who's never actually seen either. 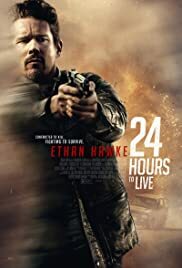 There's plot holes galore, terrible acting (even Ethan Hawke, who is at least serviceable manages to pull off a poor, almost over the top, performance), what almost appear to be dubbed vocals half the time for 'Lin' and the script writing in general is pretty awful (every trope you'd expect, its in there). The film does have it's occasional highlights, some of the action sequences are fairly well done, but in the end that doesn't come close to making up for this bargain bin DVD rendition of 'John Wick'. 39 of 71 people found this review helpful. Was this review helpful to you?